Sometimes, however, students need a little bit of a nudge in the right direction. Here are a few fun ways to motivate students to do their best work, stay on task, and keep those desks clean! 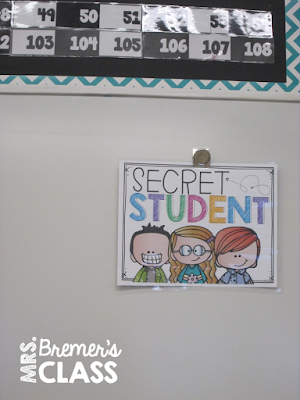 Some days I hang the Secret Student sign at the corner of our whiteboard. Hidden underneath is a student's name. Students know that when the sign is on the board, I will be watching the secret student all day to see if they having a good day, are kind, and are on task. 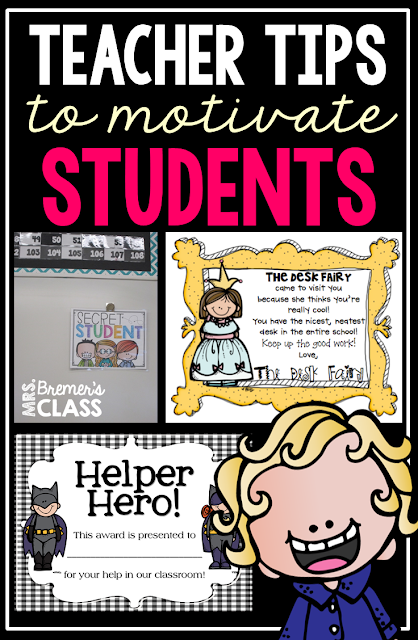 It really makes students self-check their behaviors throughout the day! If the student had a good day, I pull off the sign and reward the student whose name is underneath. If they didn't have a good day, I say "We'll try again tomorrow" without revealing who it was. This is really a great idea, as it encourages kids to work better. Who doesn't like appreciation..